Barbershops are commonly found as it is needed to cut hair. It is natural for the hair to grow long after some time and therefore, it is required to visit the barbershop after regular intervals. Some men are accustomed to this profession from an early age. These businesses are common and traditional ones which are run since ages. Some women names have also come up in the field of running a hair salon and the like. During the past, with a little knowledge about cutting the hair, people from rural area cut other people’s hair without any charge. As time has changed and so has people started cutting hair as a profession that can be initiated in any part of the world. A Barbershop started to take place when more than hairdresser started to work in one place. In a barbershop, other than hairdressing, shaving and massage also take place. Thus, it became a source of income for the hairdressers. What are the requirements of a Barbershop? A barber shop can be opened in any colony street, as men visit it for cutting hair frequently. Gone are the days when free hair cutting service was prevalent. As of now, one or more barber shops are common in every locality. The entrepreneur should be careful about selecting the place of the local market. 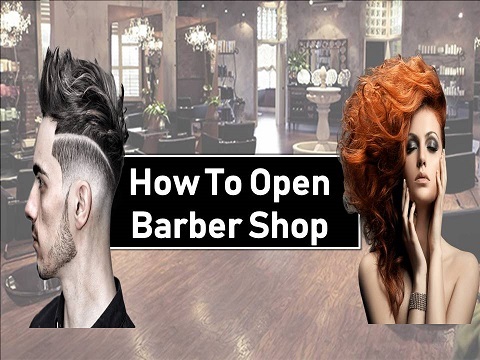 How to start with barbershop business? People planning to start this business will be able to earn throughout the year. It is often seen that setting up the business may not be a daunting task but employing skilled barbers can be a challenging one. A step-by-step procedure has been detailed in the followed part of the article. The entrepreneur has to choose the location carefully if the person wants to succeed in his business. Setting the shop near a residential area or in a local market will be ideal to get a high number of customers. In addition to this, customers should be easily able to reach the location for easy access of men. Initially, opening a barber shop might not involve much expense. The person starting the business should be aware of hair cutting and shaving techniques. With this, it is possible to start the business with a range of 60 thousand to 1 lakh rupees. Other than this, the expending depends on some factors, and they are location of the shop, experience in the field and others. Entrepreneur might have to pay refundable security for renting shop. Almost 40 to 50 thousand of deposit money might be required which will be refundable once the entrepreneur leaves the shop. The rent of the barber shop will depend on the location of the place. It includes furnishing and decoration of the shop. Other expenses include salary of the staffs employed ranging from 12 to 15 thousand rupees, electricity bill of one thousand rupees on a monthly basis. When planning to set up the barbershop on a small level, it may not be required to have licensing and registration. But it is required by the entrepreneur to gather detailed about the location from local authority. For setting up the shop, the furnishing and the decoration should be done. Contacting a carpenter would be ideal to set up the shop. Several tools are required to run a barber shop, and these can be done during fixing and furnishing the shop. Mirrors, chairs, hair brushes, and other items are required for successfully running the business. All these items are small investment in the business, and therefore, the entrepreneur can earn from the business easily with small investment. 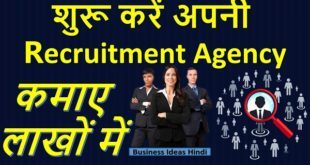 If the entrepreneur is knowledgeable about cutting hairs, massage and shaving, he or she can save a lot of money in employing an experienced person. Employing one barber will be enough to run the shop, and the entrepreneur has to pay 12 to 15 thousand every month. The entrepreneur can hire an employee and learn the work from him. In this way, it will help the person to keep running the business smoothly. In the old days, it was not possible for deploy any marketing techniques to bring in more customers in the shop. When the shop is located inside a market or in any residential area, it will be easy to get customers. The most important thing is to retain the customers and maintain the business. Therefore, maintaining a good relationship with the customers is necessary that will bring the customers back in the shop. The entrepreneur’s sincerity and efforts will also help to make the business run smoothly.